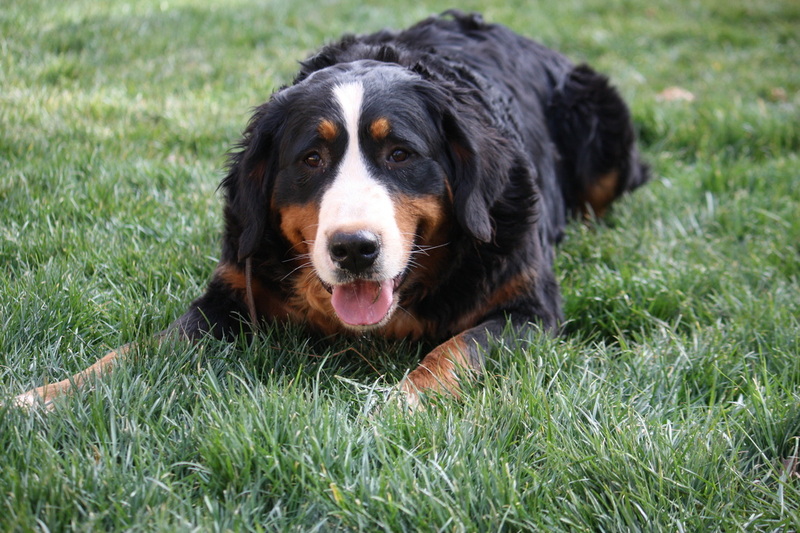 Schlafli is a Bernese Mountain Dog who was bred right here from Gibbon and Lavender. She is calm and confident, keeping track of everyone in the yard, making sure everyone is in check. She was named after Ludwig Schlafli, a Swiss geometer and practitioner of complex analysis - would you expect any less coming from me?!? She is a sweetheart, eager to please. She loves to go for walks (who doesn't, right?) and particularly enjoys a good belly rub. She is a curious girl, checking out anything that is a little different. She likes to try to make friends of our cats, who tend to hide in the wood pile or spy on her from a limb. She is a tall, well built girl.